Loneliness may be hazardous to your health. @NightshiftMD gauges the impact of social isolation. For years, doctors have warned Canadians to stop smoking, lose weight and eat the right foods. Now, there's another factor to put your to-do list to better health: Find some company to stave off loneliness. This is not about people who enjoy solitude by choice -- it's about people who spend long periods without social contact. The effects of that are tangible and they are growing. 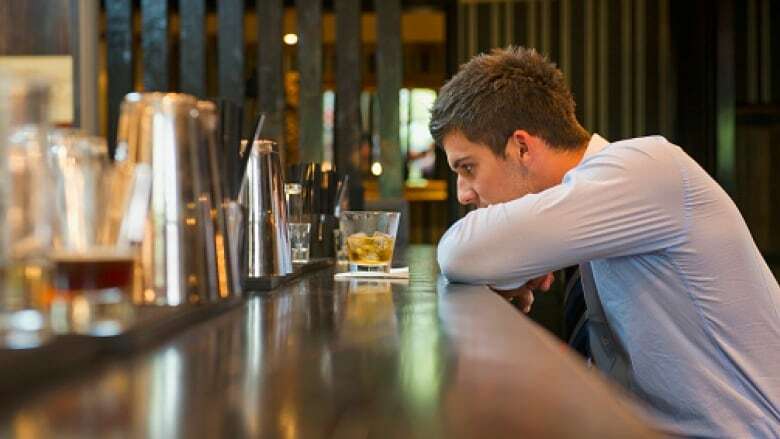 It's no surprise that loneliness leads to increased rates of depression and alcohol use. More surprising is the impact that social isolation has on your physical well-being. According to a study out of Brigham Young University, loneliness is as damaging to your health as smoking 15 cigarettes a day. It is even more damaging to your to body than obesity and diabetes. Lonely people are at greater risk of heart attacks. Loneliness can increase the risk of Alzheimer's disease by 64 per cent. And if the subject has cancer, then loneliness can increase the risk that the cancer spreads. Some of the reasons why loneliness endangers health are obvious. People who are socially isolated don't take medicines as prescribed. They are less likely to eat right and to get moving following surgery - which delays recovery time. Less obvious is the impact of social isolation on the cells of the body. Last year, researchers from the UCLA School of Medicine found that loneliness cranks up genes that cause inflammation and dials down genes that make antibodies that fight off infection. That in turn causes a particular part of our immune system to malfunction. When we are exposed to a germ, our bodies are supposed to send out a type of cell called a monocyte to fight if off. When we're lonely, our bodies send out immature monocytes which do more harm than good. Chronic loneliness is becoming a public health issue now because it is one of the biggest risk factors for disease. Yet far more attention is put on smoke cessation than helping to alleviate social isolation. As our population ages, the impact of loneliness on our health care system is growing. Older people who live alone are more likely to be hospitalized, even when their medical needs don't require it. That's because they lack the resources at home to provide extra help - and companionship. And here's the thing. Being lonely doesn't just increase visits to the doctor for medical reasons. For many, a visit to the doctor may be the only social contact they have. A UK study found that a third of patients admitted to the emergency department had seen one other person during the preceding month. And it's a big health issue in Canada. According to Statistics Canada, as many as 1.4 million elderly Canadians report feeling lonely. Canadian census data showed that about one-quarter of the population aged 65 and up live alone. In Vancouver, residents recently listed social isolation as their most pressing concern. Nearly half of women age 75 and older live alone. It's telling that 72 per cent of Canadians living with Alzheimer's disease are women. It's plausible that loneliness and lack of social contact increase both the risk and severity of dementia. And let's not forget that loneliness is also a problem among landed immigrants and refugees. There have been calls for front-line health care workers to treat loneliness as a vital sign - that it should be measured along with your blood pressure every time you see a health care provider. Some countries have made it a major health and social priority. Since 2011, the UK's Campaign to End Loneliness has made loneliness a public health priority by sharing research and best practices on dealing with the problem. The UK has pioneered something called befriending services, where a volunteer visits an older person once a week in their own home or by phone to provide friendly conversation and companionship on a regular basis over a long period of time. In Canada, we have nothing like that on a national scale. We provide lots of resources to people who want to quit tobacco. Even a smidgen of support for lonely people would make a huge difference. But don't wait for a doctor like me to tell you to call someone you know. Just do it.